Researching the life Josef Jakobs has led me down some very interesting side paths. I have come across many interesting characters whose lives intersected with that of Josef. Some were friends. Many were foes. Some were both. When Josef was recruited into the Abwehr (the German Intelligence Service) in 1940, he brushed shoulders with spymaster Nikolaus Adolf Fritz Ritter. There is a bit of information about Nikolaus Ritter, a.k.a. Dr. Rantzau available online, but quite a bit more resides in some of the National Archives files in Kew. Ritter was born on January 8, 1899, in the town of Rheydt, a suburb of Mönchengladbach in the Rhineland. His parents were Nikolaus Josef Ritter and Käthe Hellhoff. Ritter's family clearly moved quite a bit during his childhood. Ritter attended the Volksschule (elementary school) in Bad Bederkesa in Lower Saxony from 1905 to 1910. From 1911 to 1914, Ritter attended the Klostergymnasium in Flensburg, just south of the border with Denmark. He finished his education at the Domgynasium in Verden an der Aller, southwest of Bremen. After making his Abitur, Ritter enlisted with the German Imperial Army. He was assigned to the 162nd Infantry Regiment and served on the Western Front. Wounded twice, Ritter was promoted to Lieutenant in June, 1918. After the war, Ritter served an apprenticeship with a textiles company in Lauban, Silesia (now Lubań, Poland) from 1920 to 1921. Clearly the occupation intrigued him, for in 1921, Ritter attended the Prussian Technical School for Textiles in Sorau, Lower Lusatia (now part of Poland). He passed his final examination as textile engineer and returned to Lauban as a superintendent of another textiles company. Hyperinflation in the early 1920s devastated the Germany economy and it may have been a factor in driving Ritter overseas. In January 1924, he arrived in the United States, the land of opportunity. He immediately found a job in the textile industry, working for the Mallinson Silk Company in New York as an office clerk.. The job didn't last long, however, and Ritter apparently ended up working as a parquet floor layer, housepainter, metalworker and dishwasher. On a happier note, in 1926, Ritter met and married Mary Aurora Evans, an Irish-American teacher from Alabama. Married life agreed with Ritter and he settled down, found another job in textiles and had a couple of children with Aurora. Nikolaus Haviland Ritter was born on 21 December 1933 and Katharine Francis Ritter was born 13 December 1934. By 1935, however, the Great Depression had taken its toll and Ritter was almost broke, working as a representative of Consumer's Credit Corporation in New York. After much soul-searching, Ritter decided to pack up his family and return to Germany. 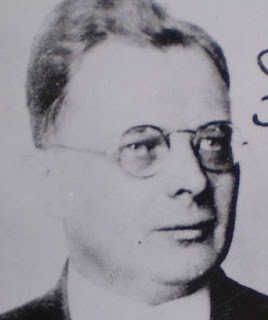 Ritter traveled back to the homeland in 1936 and was greeted with open arms by the German Intelligence Service (Abwehr). His on-the-ground knowledge of the United States, coupled with his near perfect, American English, ensured that he quickly became a rising start in the Abwehr. With some money in his pocket, Ritter arranged for his family to come over to Germany and settled them in Hamburg. Ritter traveled extensively on his Abwehr work but his success with espionage in England was mediocre, at best. He had slightly better success with an espionage ring in the United States, managing to extract the plans for the Norden bombsight. After the war, Ritter was interrogated by the British, but his interrogation files have yet to be released to the National Archives in London. Ritter was eventually released back into civilian life and slipped out of sight. In the early 1970s, Ritter resurfaced when he published his memoir "Deckname Dr. Rantzau - Die Aufzeichnungen Des Nikolaus Ritter, Offizier unter Canaris im Geheimen Nachrichtendienst" (Code Name Dr. Rantzau - The Notes of Nikolaus Ritter, Officer under Canaris in the Secret Intelligence Service). In his memoir, Ritter focused on his military career, proudly detailing the ways in which the Abwehr had extracted information from their double-agents in England. Ritter passed away in 1975 in Germany. This is all well and good but doesn't tell the entire tale. A bit of digging on the internet yielded some fascinating information on Ritter's family. His wife, Aurora (Evans) Ritter, was a staunch American and when she arrived in Germany in 1937 with her two children, she quickly discovered that her husband was actively engaged in spying against the United States. Aurora moved to divorce Ritter and get custody of her two children. Unfortunately, Aurora and the two children were rather stuck in Germany. Ritter, for his part, remarried in 1939 to one Irmgard Klitzing, a woman 15 years his junior. Ritter and Irmgard had a daughter (Karin) born on 2 January 1940 in Hamburg. In 1941, shortly before the United States entered the war, Aurora and the children tried to escape to Portugal but were stopped by the Gestapo. The children were taken away from Aurora but she followed them back to Germany, determined to rescue them from the clutches of the Nazis. She and the children lived in Hamburg and survived the devastation of the Allied bombing in 1943. In 1946, they left Germany behind them and returned to the United States. 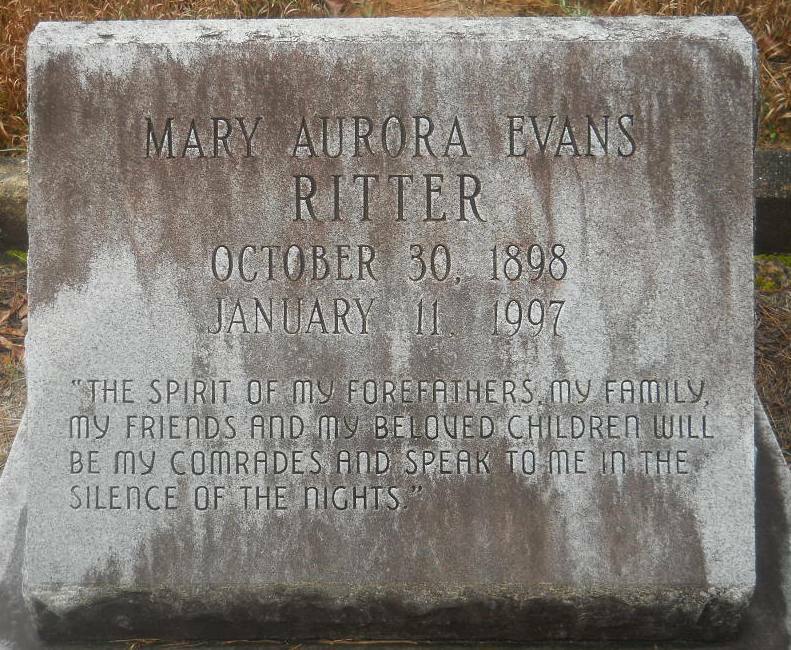 Aurora passed away in 1997 and is buried in the Perkins-Evans Cemetery in Alabama. The son, Nikolaus Jr., was trained as an electrical engineer but eventually moved back to Germany and lived in Berlin where he studied architecture. He eventually passed away in Berlin in 2009. The daughter, Katharine, remained in the United States and worked for NASA and the U.S. Navy. 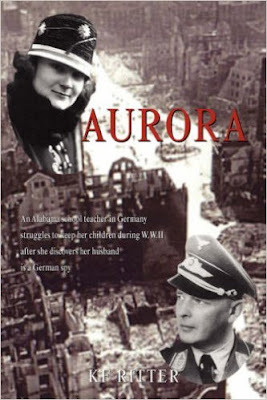 In 2006, Katharine published a memoir on the life of her mother: Aurora:An Alabama school teacher in Germany struggles to keep her children during WWII after she discovers her husband is a German spy. Based on some writings by her mother, the book apparently makes for fascinating reading. It shows a different side of Nikolaus Ritter, a more human side. Definitely on my "To-Read" list. Axishistory Forum - discussion on Nikolaus Ritter. Duffy, Peter - 2014 - Double Agent: The First Hero of World War II and How the FBI Outwitted and Destroyed a Nazi Spy Ring. 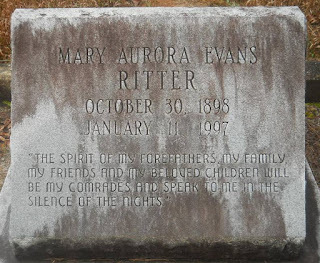 Find-a-Grave - gravestone of Mary Aurora Evans Ritter. National Archives - KV 2/88 Secret Service file on Nikolaus Adolf Fritz Ritter. 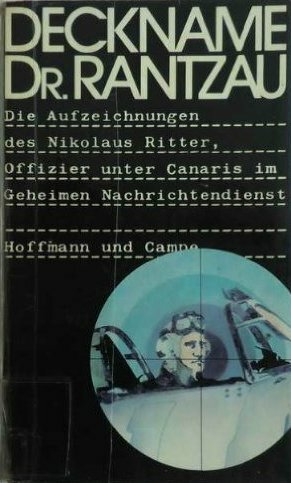 Ritter, Nikolaus - 1972 - Deckname Dr. Rantzau - Die Aufzeichnungen Des Nikolaus Ritter, Offizier unter Canaris im Geheimen Nachrichtendienst. Ritter, Nikolaus Haviland (Jr.) - Obituary, Tallahassee Democrat, Feb 7, 2010.